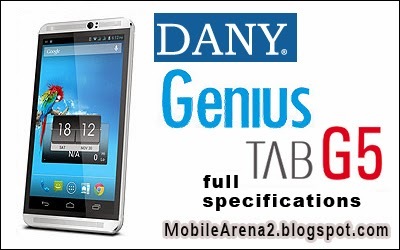 DANY Tablet G5 is announced in february 2014. It is also a GSM tablet. Genius Tablet G5 offers Dual SIM access keeping in view the modern user’s needs whic allows a couple of SIM’s functionality at a time. So it can be called a mobile phone as well as a tablet. 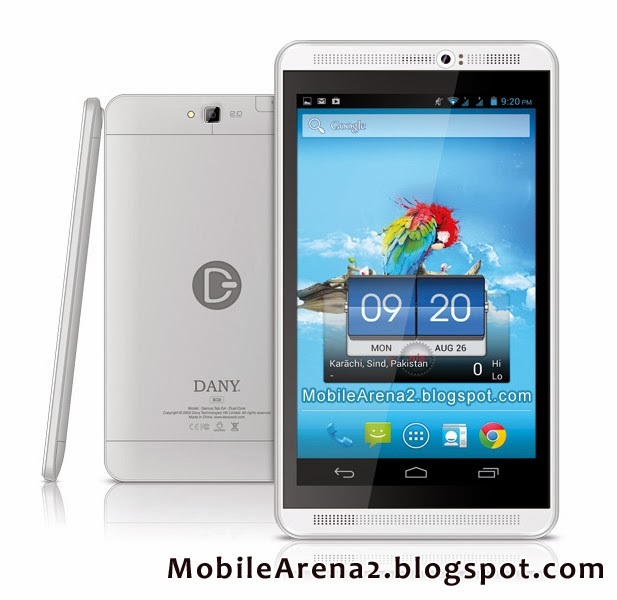 A word phablet is more suitable for this product of DANY. So, we will call it as phablet. 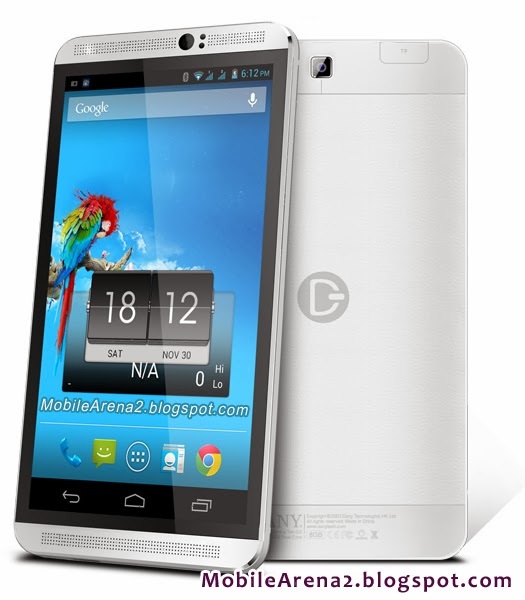 It has 6.5" capacitive touch Screen. Genius Tablet G5 is powered by 1.3 GHz Dual Core Processor along with 1GB RAM and 8GB internal Memory that ensures fast processing for unitasking and multitasking. 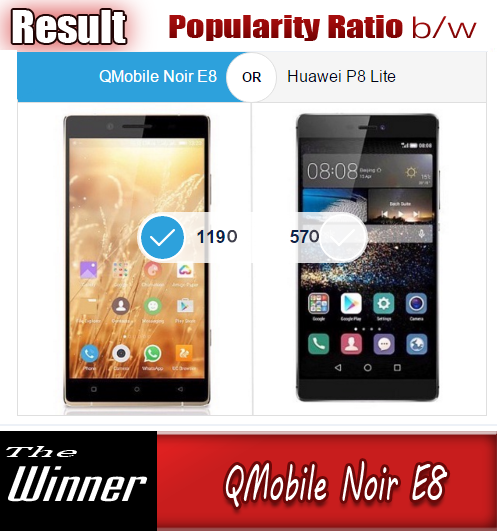 It assures running of your desired applications on fine track with a handsome battery life.